KSMU’s Claire Kidwell sat down to talk with a former student there for our Sense of Place series. Norma Tolbert is a former student of Liberty School, and is now the President of the Board for the Friends of the Gray/Campbell Farmstead. She and her husband, Jerry, were sweeping up and letting the warm summer breeze clear out the small space. We sat down at her old desk and she recalled memories from her years there as she pointed out artifacts around the room. She was one of two students in her grade, she says. And overall, there were 15 students at the school from first to eighth grade during her time there. After her fourth year there the school closed, and she switched to a new school. Yet Tolbert felt that those years in a one-room schoolhouse were the best in her entire education. Now the place is a museum of sorts, but a place where kids can play in the environment, says Tolbert. 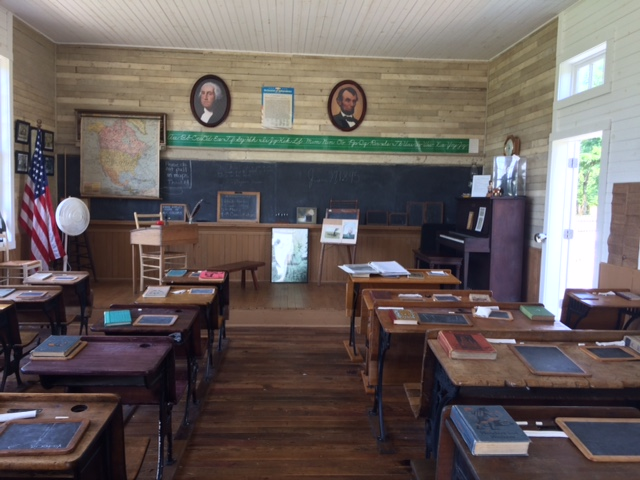 While one-room school houses have been romanticized in television and books such as Anne of Green Gables and works by Laura Ingalls Wilder, Tolbert assures us that those actually paint a good representation of what it was like. 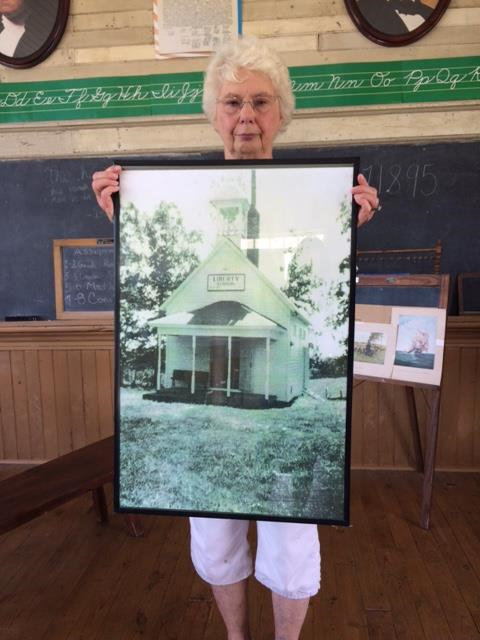 She fears that we’re losing the heritage of one room school houses. And that’s why she and many others are determined to help preserve Liberty School. The Springfield Public School system still likes to give their students a taste for what it was really like back in the day. Every year social studies classes will come out to Liberty School and the Gray/Campbell Farmstead to get a feel for what life was like there. These kids will work in the classroom and even eat food made over a fire nearby, though Tolbert says that was only common in the winter. She recalls walking the five miles over to the next school for softball games, having spelling bees on Friday afternoons, and putting on performances or Christmas programs. 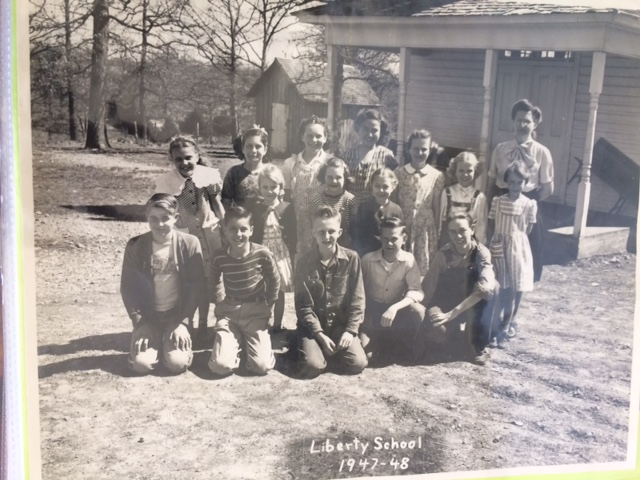 Liberty School was moved in the early 50’s when a drought struck the area and Fellows Lake was created, said Tolbert. It was then preserved and moved to its resting place now in the southwest part of town. The school house is mostly the same, though there are a few changes. 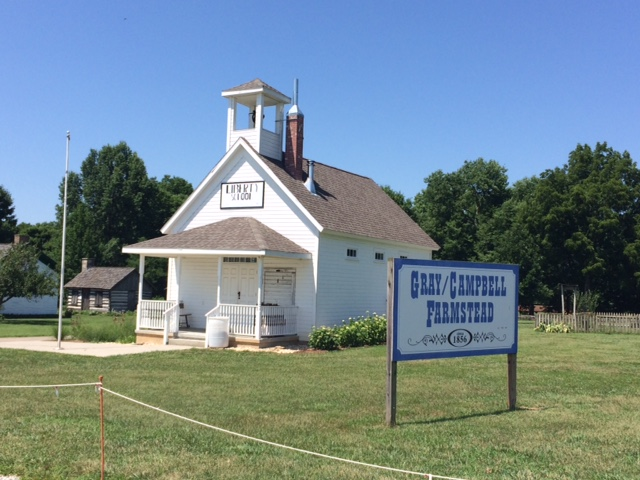 New windows were added in their original spots, and the bell that calls visitors into the school was donated by locals.